Built in 2013, this pristine 2-bedroom, 1 & 3/4 bath top-level townhouse shows like new construction. 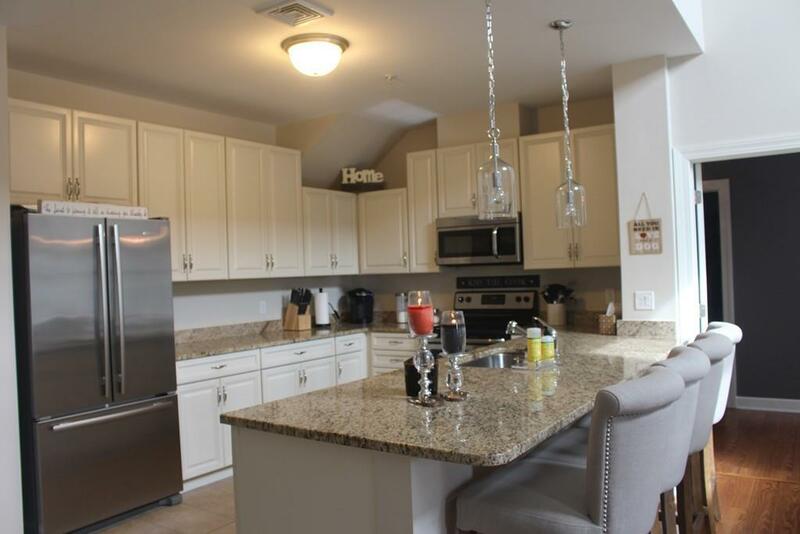 The stunning kitchen boasts granite countertops, stainless steel appliances, and an abundance of cabinet space. Cathedral ceiling in the living room enhances the open concept, flowing nicely into the kitchen. The lovely master bedroom contains a spacious walk-in closet and 3/4 master bath. A loft area overlooks the living room and is ideal for accommodating guests. Washer & dryer are conveniently located out of sight on the main living level. Also included are 2 deeded parking spaces (1 is a carport) along with a temperature-controlled storage unit. Association amenities include a function room, exercise room, playground, gazebo and various common grills located throughout the grounds.